Home Blog WHY WOULD YOU WANT TO REDESIGN YOUR KITCHEN? WHY WOULD YOU WANT TO REDESIGN YOUR KITCHEN? The kitchen is the heart and hub of many homes, and remodeling it can be a massive undertaking. The expense isn’t the only consideration, but the inconvenience that comes with the upheaval of having your kitchen done. 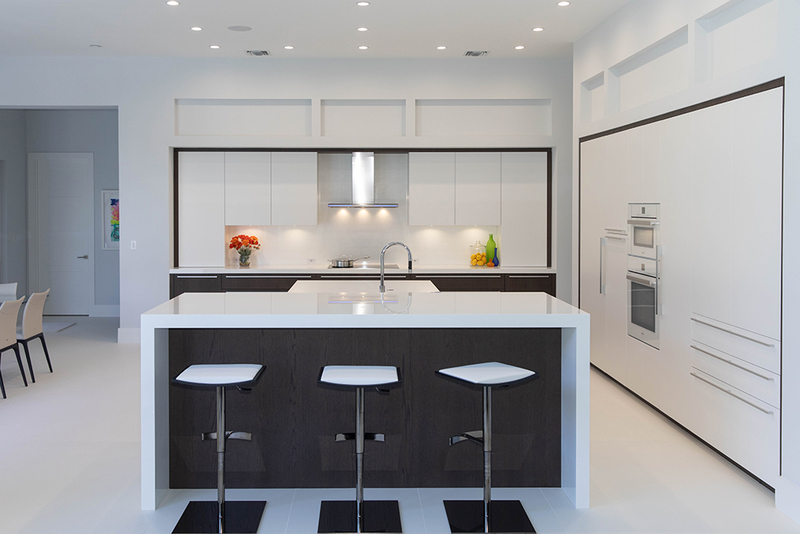 Despite the size of the undertaking, homeowners continue to opt for kitchen remodeling because there are plenty of good reasons to do so. Your reasons for a remodel may vary, but here are just a few of the many reasons why you may want to redesign your kitchen. If you’re a homeowner who just loves to prepare complex and fancy meals, then you may be interested in a kitchen to reflect your love of cooking. If you live in a neighborhood where a gourmet kitchen wouldn’t make much sense, don’t do it unless it’s for your enjoyment and you have no plans on moving. Sometimes a kitchen will need to be updated or remodeled to accommodate the needs of a disabled member of the family. If someone is in a wheelchair then you’ll want to make the kitchen more accessible when it comes to high counters or out of reach cupboards. It may be a case of your kitchen falling to pieces. There may be peeling countertops, broken cabinet doors, cracked tiles, or outdated appliances. That’s hardly an inspiration when you’re cooking or entertaining guests. It’s time to redesign your kitchen when it’s lasted longer than its worth. Your kitchen could still be in pristine kitchen condition, and still be outdated. If your kitchen screams the 80s, but you’re ready to step into the here and now, redesign your kitchen. Your primary motivation, of course, could be that a redesign will allow you to upgrade to energy saving appliances. You may get rebates for that, plus you’ll have lower utility bills. Sometimes, a homeowner just wants a little change. The kitchen could be updated, functional, and even attractive, but it just doesn’t appeal to the homeowner anymore. Maybe the design of the kitchen worked for the last homeowner, but it’s definitely not for you. Whether you want a breakfast bar for the family to gather around informally, or you see the benefits of an island. Whatever the reason, the motivation for redesigning your kitchen may just be to re-arrange the room to suit your needs. Home improvement TV shows are incredibly popular, and sometimes just watching them inspires homeowners to make changes in their home. As mentioned above, new appliances mean an opportunity to choose energy efficient products. You can also add skylights, which diminishes the need for artificial lights. Consider a solar water heater too! There are many reasons to redesign your kitchen. Homeowners may choose to redesign the kitchen simply to make the property more valuable, and more marketable. A newly remodeled kitchen can be appealing to prospective buyers. The return on investment will be dependent on numerous factors, like the current market, and the level of the remodel. If you’ve been thinking about it…just do it!